When it comes to toxic gas detection, your company and its lone workers deserve a device which provides for maximum safety and efficiency at all times. No device is better than the G7 portable gas detection meters when it comes to toxic gas detection, lone worker safety, and smart solutions to a worldwide problem. But how is the G7 better than other devices? Well, that one is simple to answer. Keep reading to learn about the many great benefits of the G7 and contact Safety Scan USA to request a free demonstration at your facility. The G7 wireless portable gas detection meters provide maximum safety, maximum function, and maximum value to lone workers in potentially hazardous environments. While other meters act simply like a smoke detector in your house, the G7 is portable, features two-way 3G cellular and satellite communication, offers GPS tracking in the event of a downed worker, and connects to a live support team instantly. 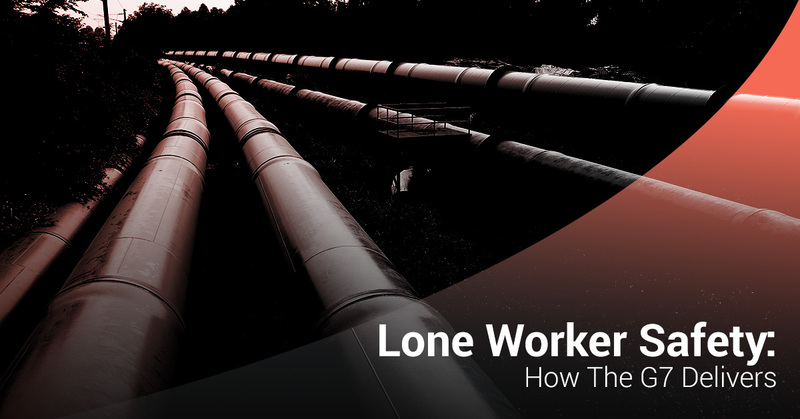 Mobile: With cellular and satellite connectivity options, lone workers can rest assured that their calls for help will be heard if need be. Wireless two-way voice communication: Allows for periodic check-ins between supervisors, lone workers, and other personnel. Text message alerts: In the event of an incident, the G7 has the ability to alert the entire facility in order to optimize the evacuation and response processes. Gas detection for up to four gases: The G7 and G7x quad gas cartridge devices have the capability to monitor and detect upwards of four gases at a time, including combustible gases, hydrogen sulfide, carbon monoxide, and more. Evacuation management: The G7 connects instantly with the support team in order to provide immediate emergency response protocols. Complete customization: Program the G7 and its live web portal to fit with what you need, where you need it, and how you need it. Instant calibration: The G7 powers on in a fraction of the time of other gas monitors, with instant and automatic calibrations built right in. In-house safety monitoring: A live emergency response team is always on standby, with the ability to react accordingly and point the emergency responders in the right direction in the event of a gas leak, fall, or other no-motion incident. GPS location beacon tracking: Response teams are alerted and directed to a fallen worker’s location in a matter of seconds, allowing for rapid extraction. Periodic check-ins: The G7 periodically checks in with lone workers in order to ensure everything is still running smoothly. Live web portal: Features reports, data, and everything else needed to manage potentially hazardous situations. Portable and wireless: The G7 can fit within a shirt pocket, allowing for maximum portability and lone worker safety. The G7 features industry standard sensors for all of its gas detection products, whether it be ammonia, carbon monoxide, or hydrogen sulfide detection. You never have to worry about the G7 giving off a false alarm, nor will you have to worry about it not detecting even trace amounts of dangerous gases in the area. The sensors of the G7 portable gas detection meters are extremely low, as low as 0.5 ppm for hydrogen sulfide, or H2S. Why else is the G7 line the best device when it comes to lone worker safety? Well, just try it out to see for yourself. At Safety Scan USA, we are committed to providing the smartest gas detection solutions for an ever-evolving world. If you contact us today, we can help your facility and provide a free demonstration on how these innovative mechanisms work to provide efficient gas detection and lone worker safety. This is smart gas detection for the future. This is the G7 portable gas detector. This is the Safety Scan way.